Some software synths are really amazing. Anyway, to be honest: i prefer hardware instruments. A few months ago, we started the integration of a new engine in zynthian. 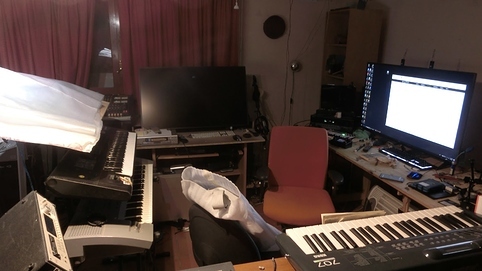 This time it was something special as it was the first zynthian engine integrated by somebody else (Mr. Holger Wirtz, aka @C0d3man) and it wasn’t a free software engine, but a commercial product, with a privative license. Somebody could think that this is not well aligned with the spirit of zynthian project, so … why to do it? It’s been a hard month preparing the new SD image, but finally it’s here. Its name is Gorgona! As I said in the previous post, we have been very busy the past few weeks working in the new website and a short video presentation for Zynthian, among others. Comments are closed in this post, please, use the forum to comment. The list is composed of generic parts and specifically designed parts. All these specifically designed parts are called Zynthian Parts. 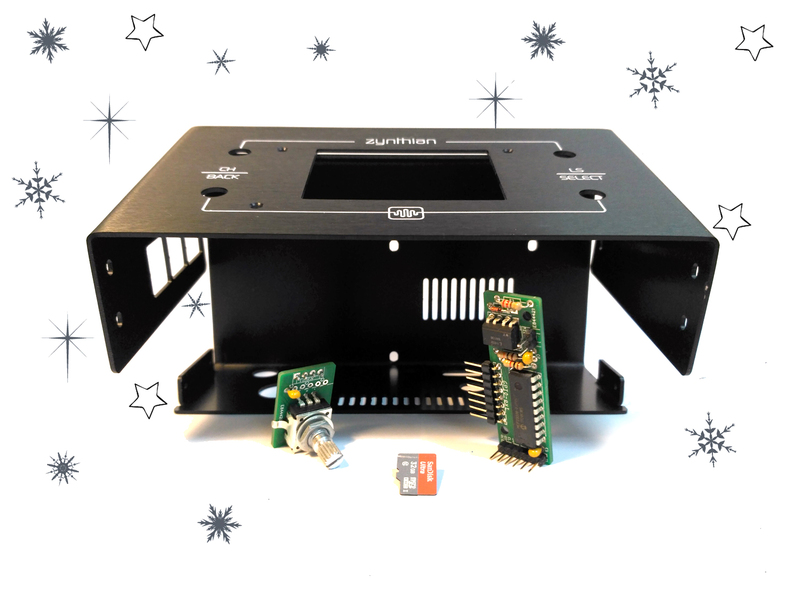 You can build these parts by yourself using the specifications, schemes and PCB designs, or you can contact me. I will try to make these parts available at a reasonable price. IMPORTANT: Comments are closed in this post, please, use the forum. 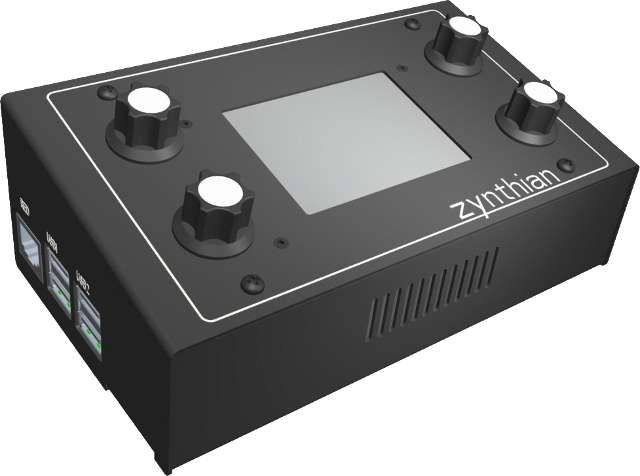 Zynthian is an Open Synth Platform based in Raspberry Pi, some Open Software Synthesizers and more. 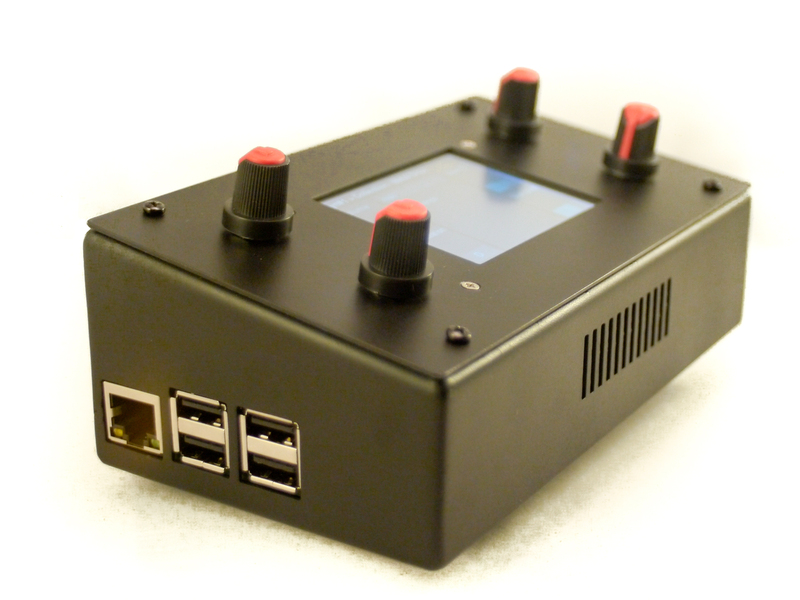 I’m trying to integrate all the parts in a realiable case with a nice and ergonomic User Interface, so everybody can enjoy this wonderful synthesizers in any place without having to install or configure anything. When it’s finished, i would like to make it available for everybody, as a toolkit or as a finished product, so you can use it for Live Playing, Music Production or any kind of experimentation. Continue reading What is Zynthian? 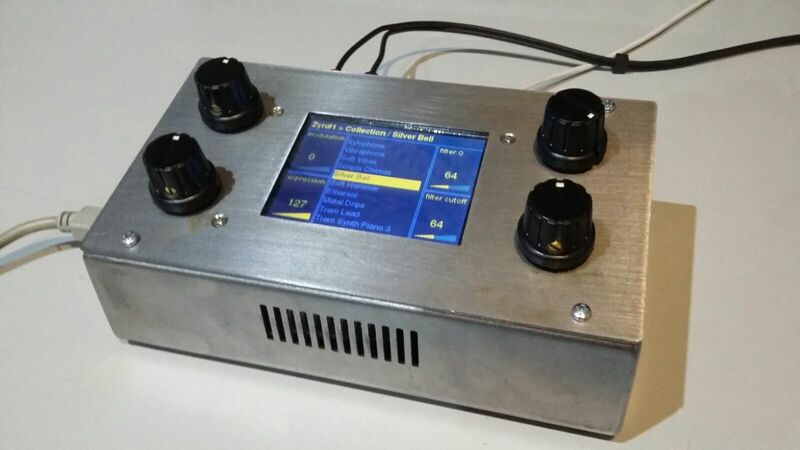 Posted on 2015-11-10 2017-05-18 Categories base software, development, hardware, sound architecture, synthesizer software, user interfaceTags dexed, fluidsynth, hifiberry, jack audio, linuxsampler, lv2, open synth, open synthetizer, pitft, puredata, raspberry pi, setbfree, synth, synthesizer, zynaddsubfx, zynthian, zynthian architecture34 Comments on What is Zynthian?